I made a jaguar with the features and the style of a musicmaster. CTS 500k pots and cloth wiring. Looks great. That's a lot of switches for one pickup! Those Goths sure knew how to make electric guitars back in 169. Much better than cheap Roman crap. 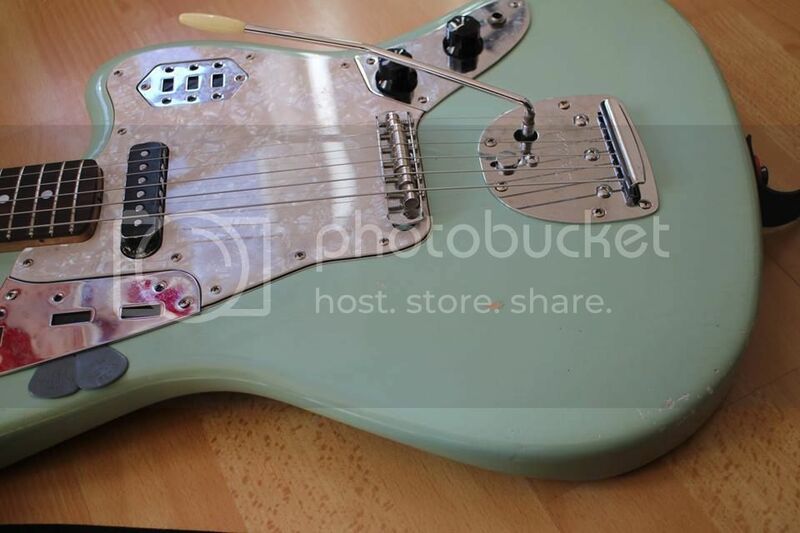 there are no switches; i though about a custom pickguard wich covered the jaguar plates but i like how it looks. 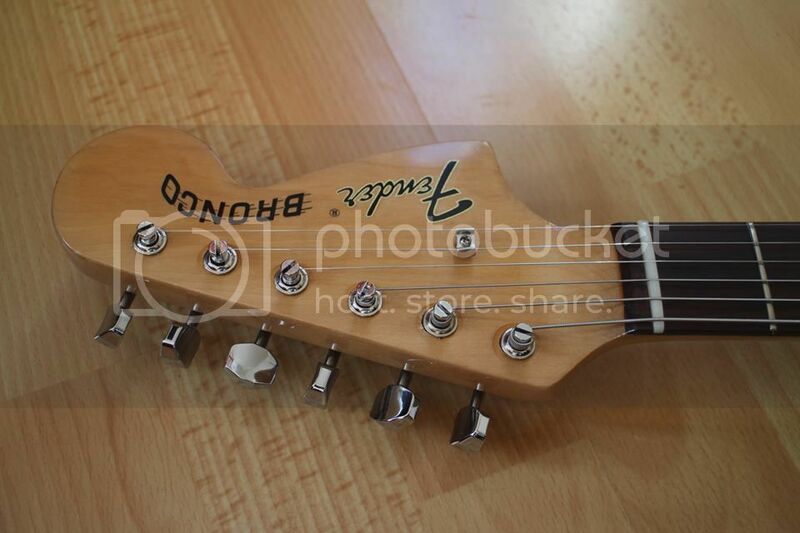 It looks really good, like custom shop or something. I'd be tempted to do something with the switches and knobs. Fuzz circuit? it might be an idea. 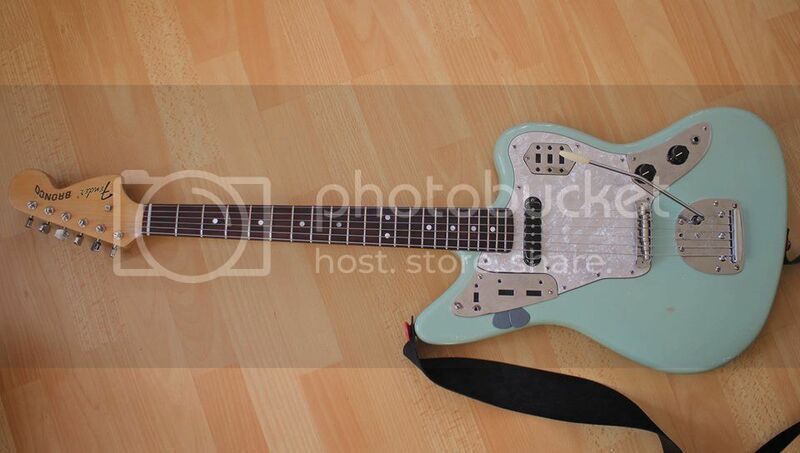 maybe keep, like a classic jaguar, the rythm circuit and the low cut switch. but i prefer to do sound variations with my playing, how & where i pick the strings. 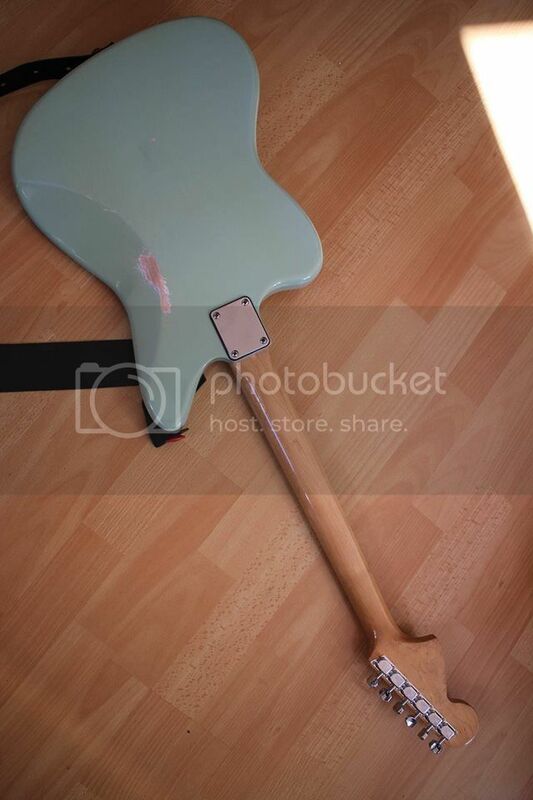 What about building a fuzz in the spare plates? Surely the holes turn it into a semi-acoustic, letting the sound flood out?? there are some black tape on all the holes. 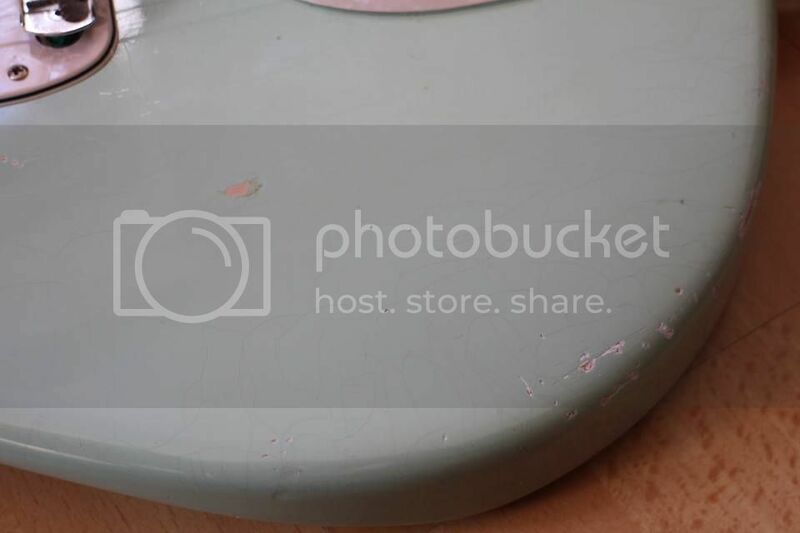 it was an esthetic choice between that and a pickguard which covered the metal plates; the pickguard would be too present in my opinion. That's some nice playing, you'd probably sound really good on a 12-string too.